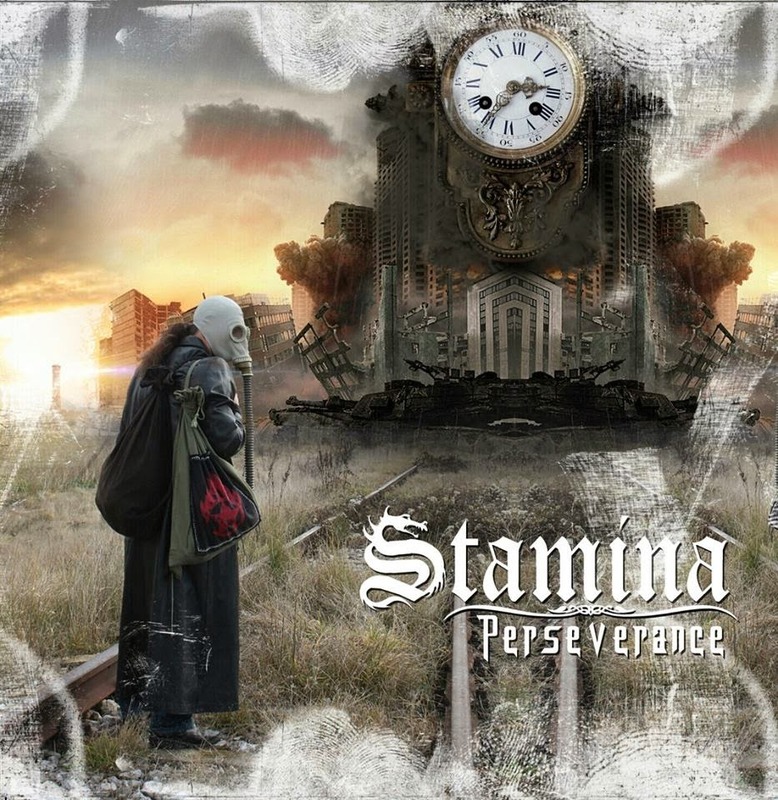 Rock & Metal 4 You: CD-Review: Stamina - "Perseverance"
I love the unexpected. Why I'm telling you that? What I mean is it's always exciting to get promo-material from bands you've never heard of before and sometimes you are so surprised that you weren't familiar with a band that delivers this kind of quality music. Same with the Italian Melodic Metal band STAMINA. Founded in 2006 by guitarplayer and songwriter Luca Sellitto the band has released two records so far and I think many of you didn't recognize this. In February their third effort "Perseverance" hit the stores. Let me tell you what you can expect from this one. Stamina describe themselves as a Melodic/Progressive Metal band and first of all I have to admit that they don't feel like a Prog band to me. 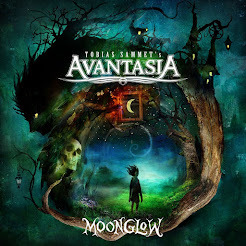 The songwriting is not that tricky and complex, it's more straight-forward Metal with lots of catchiness, so I see this band more in the Melodic Metal corner. I would even go that far to say that they doesn't feel like a real band at all. Everything reminded me much more on a Metal Opera or at least an allstar-project. Yes, Stamina is a real band, but just take a look at the huge guest list - nearly every song features a different singer. You'll get to hear Göran Edman (ex Yngwie Malmsteen, John Norum etc. ), Nils Molin (Dynazty), Maria McTurk (Royal Hunt) and Jacopo DiDomenico beside band vocalist Giorgio Adamo (who appears on just four songs). Some epic arrangements do the rest to make you feel like you were listening to stuff like Timo Tolkki's Avalon or Avantasia. So, the direction is clear. "Perseverance" starts huge with "Higher" - a straight forward rocker with a great chorus. It's a pretty good start for this album. The following "Breaking Another String" has more of an epic Power Metal song with a happy melody to sing-along for weeks. It's definitely an absolute highlight on this LP, refined by a strong vocal performance of Göran Edman. "I'm Alive" is a very keyboard driven song with a pop-note - another earworm. With the following track "Just Before The Dawn" Stamina slow things down a bit. This is the only ballad on this album, which has a little darker approach and features Göran Edman on vocals again. It's a good contrast to the previous three feel-good-songs. The guitar-work on this one is pretty cool. Next one in line is the title track "Perseverance", sung by Dynazty's Nils Molin. I'm a huge fan of his voice and it was pretty cool to hear him sing outside his main band. The vocals are really good, but I had the feeling that the song couldn't certainly challenge Nil's voice. Beside two screams at the end of the song Nils remained somewhat pale here. Maybe it is because the song itself couldn't convince me. To me it's solid songwriting here, but this one couldn't grab me that much like the tracks before. But there is not much time for complaining, because the next feel-good tune follows: "Naked Eye" has this kind of 80's Hard Rock influence in it. Don't know why but I was thinking of Europe everytime the chorus-line started. Stamina are unpredictable, because with the next song "Unbreakable" they change the mood again - this time with a more modern vibe (futuristic Keyboard sounds go hand in hand with voice effects). "Wake Up The Gods" features the second appearence of Nils Molin and he has much more room to shine on this one than on the title track. This tune could easily be a Dynazty song. "Winner For The Day" closes the album with solid vocal performances by Jacopo DiDomenico and Maria McTurk. This might be the song with the most progressive elements. Another good one. You see, all in all the songwriting is very good, the vocal performances as well and the musicianship does also everything right. It's pretty fun to listen to "Perseverance". Just when it comes to production and mix I have to pull of one point, because the whole sound needs a bit more volume, especially the bass could be more powerful and the whole production is not as punchy as it should be. My subwoofer had not much to do. In the end I just can say that I really enjoyed listening to "Perseverance" and I'm glad that I had the chance to discover this band. So, if you aren't a production-fanatic then you'll have lots of fun with this record. It offers really good songwriting with wonderful melodies and features some great vocal performances. I don't really know why this band is so unknown and just an insider tip. These guys should be much bigger - I see lots of potential here. So, give it a try, you won't regret it!